Which warrants that the economic risk of starting business cooperation with Digitroll Ltd. is minimal. 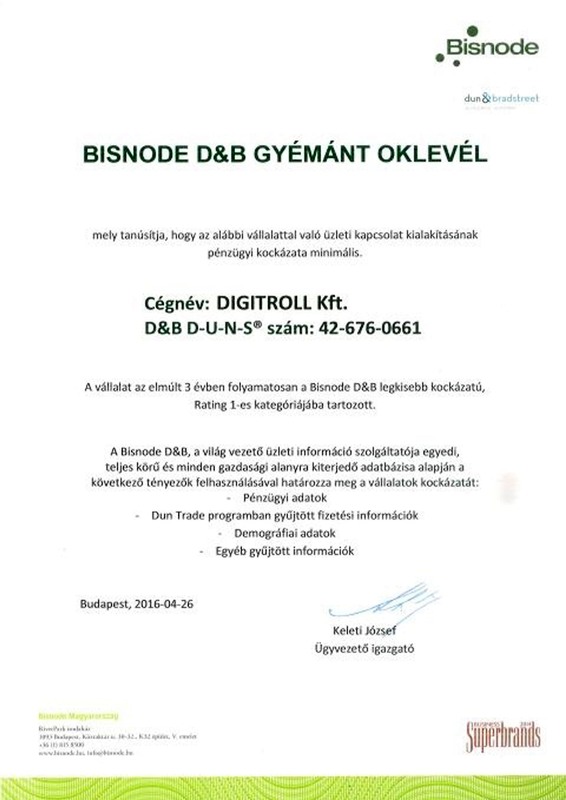 Digitroll has continously been in the lowest risk, Rating 1 category of Bisnode D&B for three years. 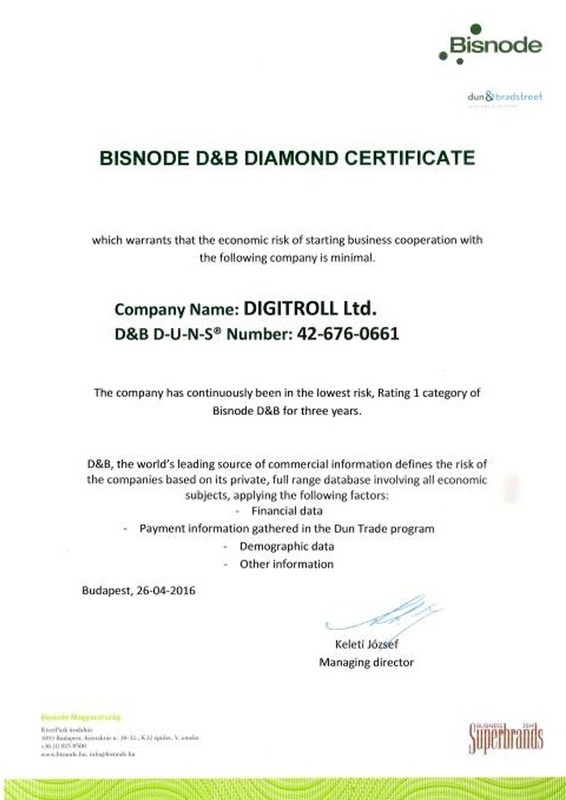 D&B, the world’s leading source of commercial information defines the risk of the companies based on its private, full range database involving all economic subjects, applying the following factors: Financial data, Payment information gathered in the Dun Trade program, Demographic data, Other information.